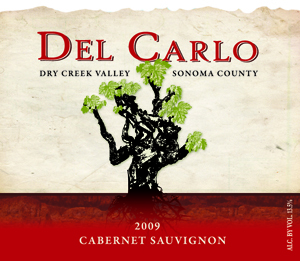 ​2009 Del Carlo Cabernet Sauvignon Black currant and a bit of pepper come out of the glass with a bit of a swirl, and some black cherry and mocha are introduced on the palate. The acidity and tannins are wonderfully in balance, leading to a lingering finish. $30 for a Cab this good? That is practically stealing.